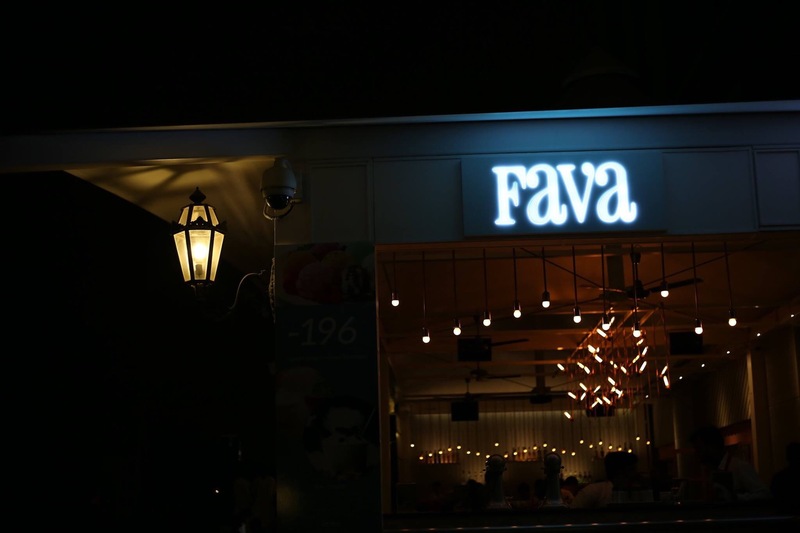 Fava is one of the finest restaurants in Bangalore and have won many awards for service, quality, and food, since the time of its launch. I have been here several times and loved the food. So, I usually recommend this place to my friends when they want to try some exclusive dining with great food. Though it’s a Mediterranean restaurant, Fava has become one of the local favorites. Well, Fava have come up with a new menu by making use of sustainable and organic products. To be precise, the model of dining at Fava is based on sustainability and good health. 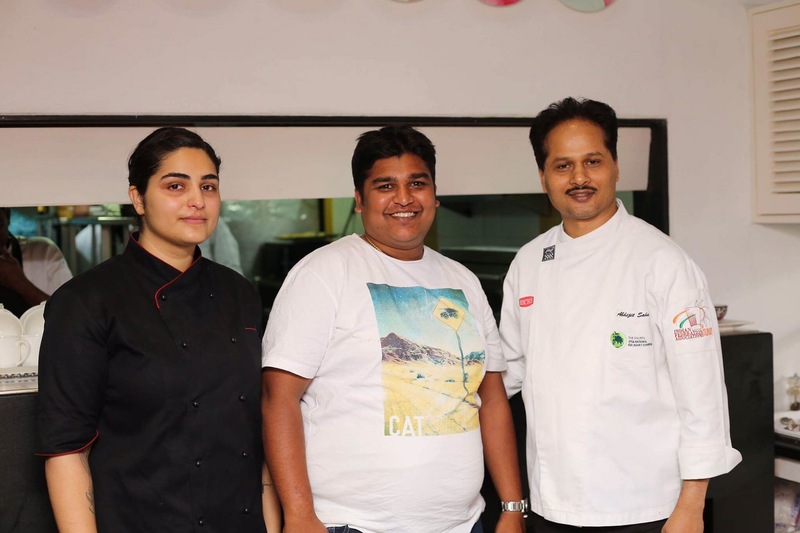 I was invited for the exclusive preview of new menu by Chetan Kamani, one of the respectable food critics in Bangalore, he is well-informed with respect to both food and wines. He is an active member of Wine Connoisseurs Club. The new menu at Fava offers mouthwatering appetizers like the Baked Mini Gozleme Pies stuffed with organic Swiss chard and ricotta or grass fed lamb and the Plated Smoked Salmon Labneh. A must try at Fava is the Dozen Mezze which includes 12 handpicked vegetarian mezze from across the Mediterranean along with the Father Michael’s Valombrossa Burrata with the Maple tree Farm organic beetroot mezze. For the main course, relish some of the signature dishes, be it the Mediterranean Style Stir-fry with Millet & Black Rice Risotto, Herbed Chicken Scaloppini or the Pistachio & Walnut Crusted Halibut obtained by deep sea fishing. The scrumptious desserts at Fava were visually stunning Caramel & Chocolate Flan and the Black Pepper & Chia Seed Pannacotta with Red Grape. Polenta Crusted Crispy Goat Cheese & Thyme Roll – The rolls were crispy and cheese was oozing. However, seasoning could have been more. Cottage Cheese & Vegetable Skewers – The Panneer was super soft and marinated well. It was rubbed with Egyptian Dukkah. It deserves to be the best one. Mushroom, Broccoli & Onion Sheesh Kebab – These were served in skewers and tastes indeed great. The mushrooms and broccoli were fresh though. 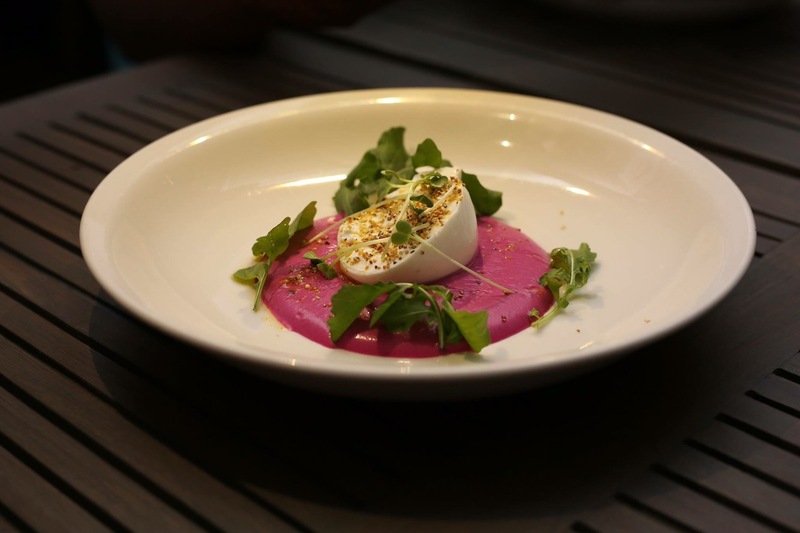 Father Michael’s Valombrossa Burrata – This was presented beautifully and one can certainly fall in love with this dish. Burrata was rightly prepared and the cream inside the cheese looks very excited to come out on the beetroot mezze. The mezze was mild tangy and little sweet! This dish was the showstopper for the night. Root Vegetable Ravioli in Mushroom Sauce – Another great dish for vegetarians. 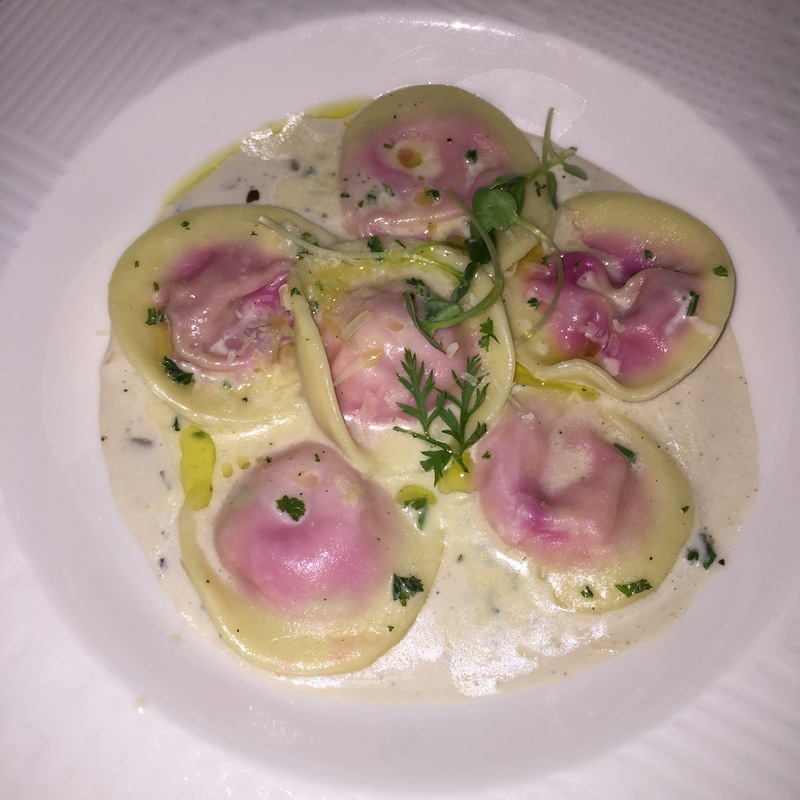 The Ravioli was translucent by showing the root vegetables in the mushroom sauce. The mushroom sauce was coated perfectly on the ravioli. Its heavenly feeling with the mushroom sauce. One must definitely try here. Pizza Bianco – It’s a thin Crust Pizza topped with pesto and layers of boiled potato. The Pizza was baked with perfection and it’s a different experience all together for the people who are bored with regular Pizzas. 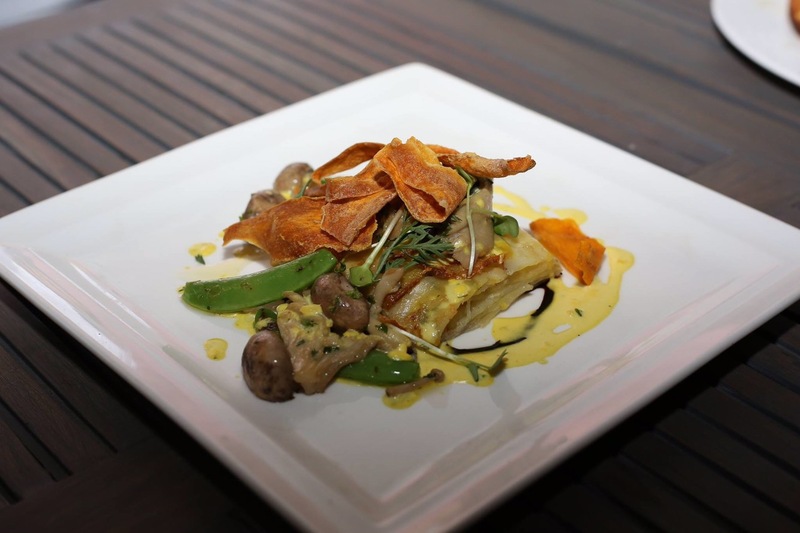 Galette of Mushroom and Snowpeas – Dauphinoise potato, carrot chips, saffron sauce and herb oil. This was recommended by the waiter and believe me, it’s extremely good and quite filling. Black Pepper & Chia Seeds Pannacotta (Sugar-free) with Red Grape – The Panacotta was outstanding and presented beautifully. The dessert wasn’t too sweetish, which made me to endorse it. Besides the à la carte menu, during lunch from Monday to Saturday, Fava brings to you “Lunch Redefined”, a concept Prix Fixe Lunch so elaborate that you’ll be spoilt for choice! 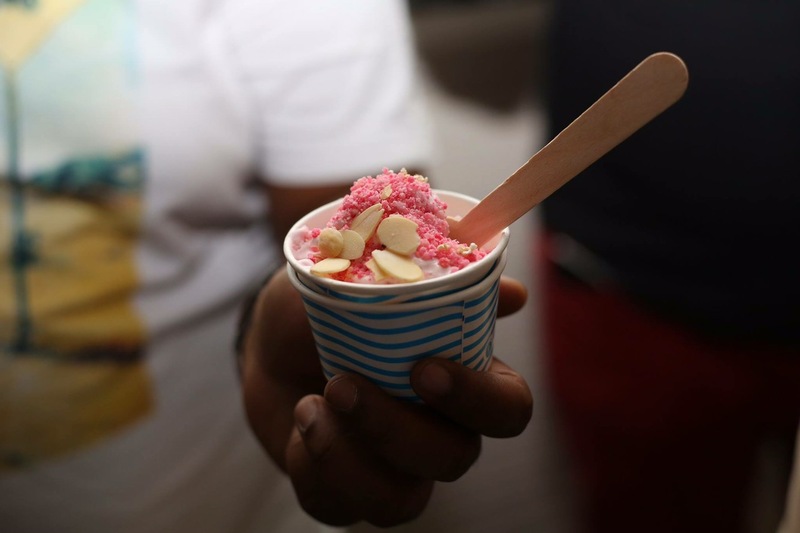 Also, Fava launched (Minus) -196° Ice-cream boutique in UB City – A sight for sore eyes on a hot summer day, Minus 196 Degree is the first of its kind Liquid Nitrogen Infused Ice-Cream in Bangalore. Located at the entrance of Fava, UB City it serves a selection of 100% Natural and Low Fat lip-smacking ice-creams, natural sorbet and fresh frozen yoghurt with an array of toppings. The new fava is decorated with custom designed chandeliers, outdoor tables facing UB Towers, teal doors. The place is very soothing, relaxed and perfect to spend evening in the breezy Bangalore weather. Another highlight is pink flamingos décor on the plates in the entrance looks really good. My special thanks to Chef. Abhijit Saha for having us! Photo Credits: Harsha Praveen, Chetan Kamani and Fava. Note: This write up is completely based on my experience and not influenced by anyone.